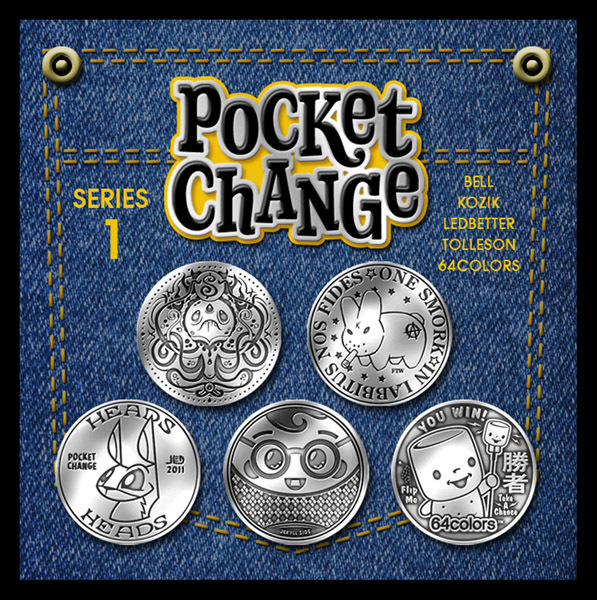 Pocket Change Series 1 on sale now! Pocket Change Series 1 Art Coins are now available for purchase online through October Toys! Grab each coin for only $12 each! Introducing Pocket Change Art Coins! Series 1 is set to debut at San Diego Comic Con 2011 at October Toys booth #4838 and features coins by Andrew Bell, Frank Kozik, Joe Ledbetter, Scott Tolleson, and 64Colors. Each 1.5″ engraved metal coin is limited to 125 pieces and will be available for $12. Shiny flippable fun included with every collectible coin! If any coins are available after the convention, they will be available for purchase here at PocketChangeArt.com. Introducing Pocket Change artist coins! 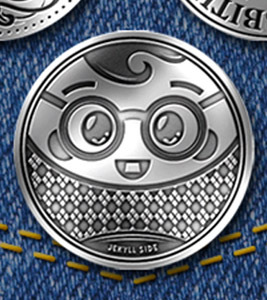 Each limited edition series features five different artist designs on 1.5″ metal coins. Shiny flippable fun included with every collectible coin!